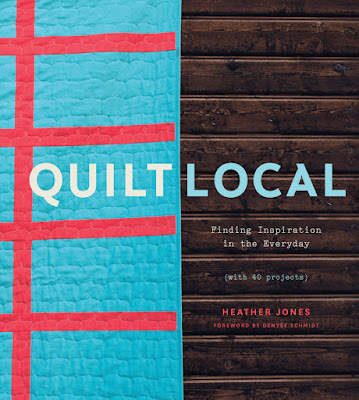 Heather Jones is a "modern" quilter who teaches on CreativeBug, Quilting Arts TV, and throughout the USA. Her first book was published by STC Craft in October and I am just getting to review it here today. The book is called Quilt Local and it is beautiful. Denyse Schmidt wrote the introduction to the book. Here is a short video about Heather via CreativeBug. Quilt Local is a gorgeous book. You probably all have realized that I am not a big quilter although at times in my life, I spent hours quilting. 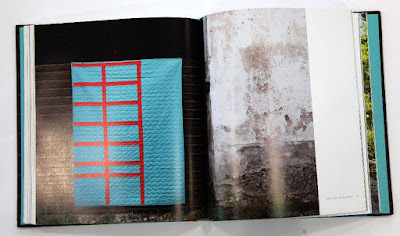 Now I tend to prefer quilts that are graphic and are more about color. I also love Amish quilts and their incredible colors and giant motifs. 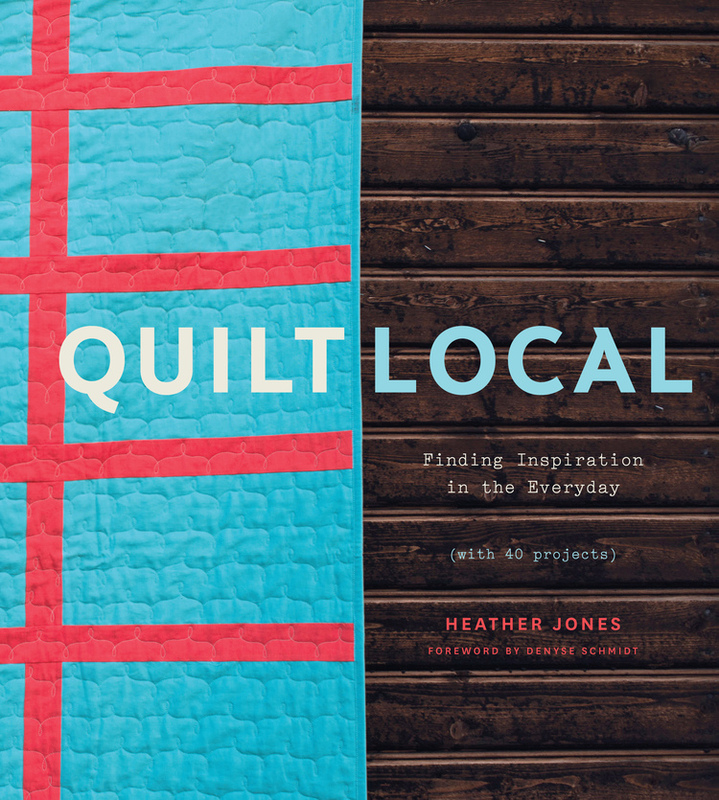 So..... when I began reading Quilt Local, I found a quilting friend in Heather. Through her introduction, she tells her story. She has a degree in Art History and is married to a Fine Art Painter and his work influences hers. She also finds design ideas in things she sees around her. She shares her methods and tells the reader how to do the same. 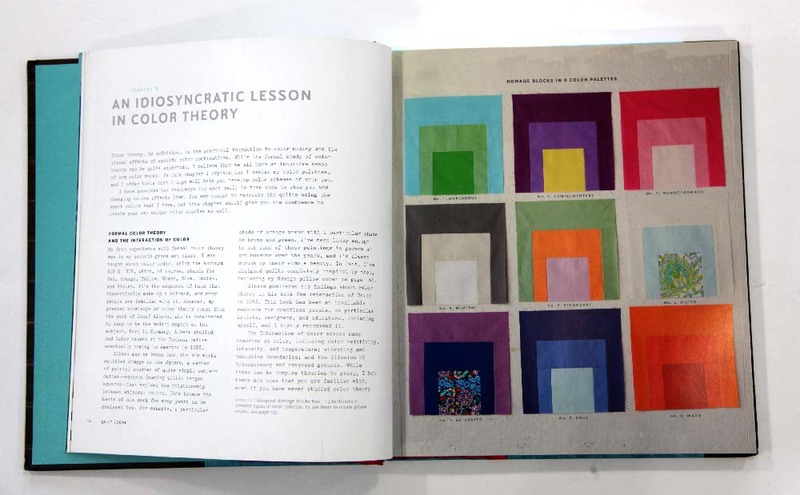 The book gives Heather's method of working with color. 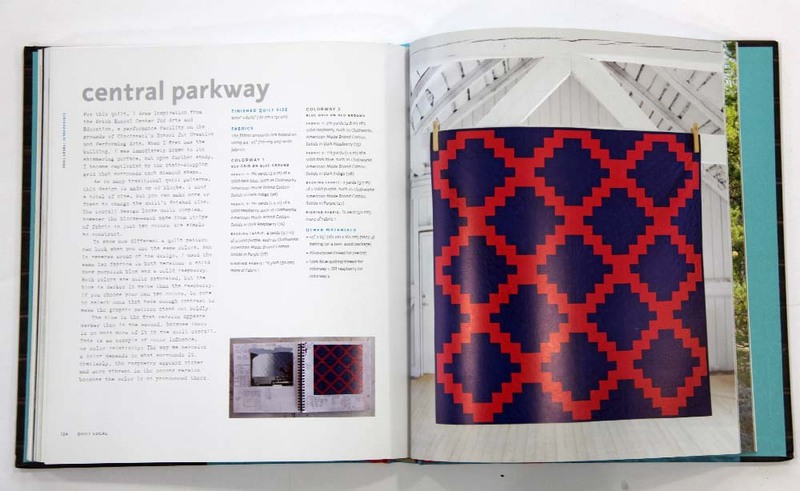 There is also a long section about how to make a quilt. 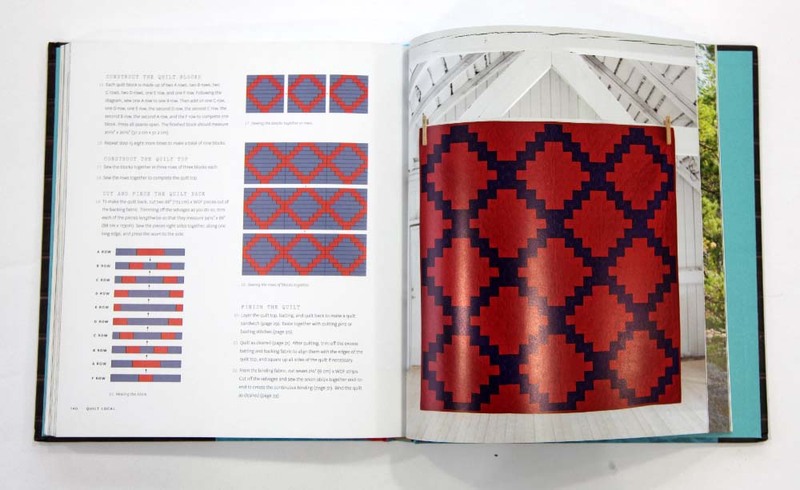 The large part of the book is made up of 22 different quilt designs. Each design is beautifully photographed in front of its actual inspiration. AND each quilt is shown in two different colorways! That is awesome for quilters who aren't real adept at choosing their own colors. One of my favorite quilts in the book is this one called Central Parkway. It is one of the more traditional quilts but she uses solid colors making a more graphic quilt design. Heather shows it two ways, reversing the placement of the two colors she used. Isn't it amazing how different each looks? Here is an even better photo of this quilt from her website. Sorry about the photos I took of this book - they just aren't great and the sun hasn't been shining and it is the best I could do! How about this quilt which has the words MAKE in patchwork. Love it. This one is called Mason and here are the two different colorways. Cute styling with the ladder. 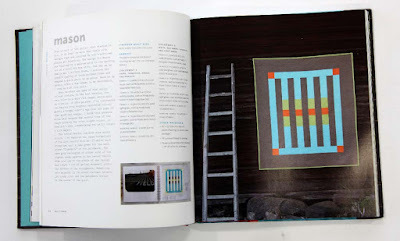 Here are more of my favorite Heather Jones Quilts from Quilt Local. 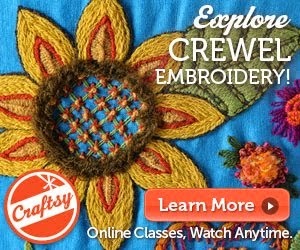 If you are a quilter, I highly suggest you check out Quilt Local. Twenty-two designs for $27.50 - although it seems to be on sale at Amazon right now for $19.99. Or maybe you will take a class on CreativeBug with Heather. Answer the following question in the comments section. Tell me your thoughts about "modern" quilting vs "traditional" quilting? Or something about how quilts play or have played a part in your life. 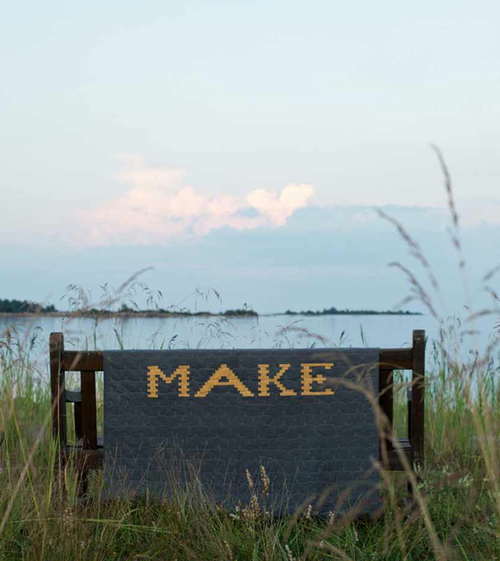 Do you make quilts or DO YOU WANT to make quilts? Contest ends Friday February 12th at 11:59 p.m. US Residents only please. As always, leave an easy way to get a hold of you - email, Ravelry or blogger id. Modern quilting is more creative and more personalized. The material that is available to us is more colorful and have a lot more patterns in them. Oh my, Kristin! You are such a brave soul to ask this question! I've seen quite a kafuffle here and there when this question is posed. As a long time quilter and knitter, it has puzzled me that "modern" quilters felt the need to define themselves as something new. Art quilters and traditional quilters have peacefully coexisted for many many years. In the parallel knitting universe, modern, art, and traditional knitters + weavers, spinners, and crocheters not only coexist, but celebrate their heroes and fore-mothers and fathers. The sweet and funny thing I've witnessed, reading "modern" quilter blogs, is that as their stashes and scrap baskets grow, and their skills and curiousity expand, their quilts become more and more traditional. Personally, I find the TERM "quilting" something of a misnomer. As it properly refers to the actual *STITCHING* and really not to the FABRIC "designs". THAT, I consider as FIBER "ARTISTRY". - As to the "stitching", I'm in the "old school" category. I'd rather go "Amish" with it and use HAND sewing! -- Using a long-arm machine is handy I suppose, but that's just the same as using and embroidery MACHINE. Sure, it's quick and easy. But HANDS-ON is so much more satisfying! However, all that aside, I do enjoy a well designed piece of Fiber *ART*, be it simple or complex. Quilts are so important to me because they are the perfect combination of art and function! My own quilting endeavors have given me the opportunity to explore color and design, improvisation, and technique. And I feel like I've only just scratched the surface. Deeply enjoying making some baby quilts now with the refugee women in my sewing class. Thanks for sharing this wonderful book with us! Oh, wow! What amazing quilts! I love how they are completely modern yet rooted in tradition. So tempting. 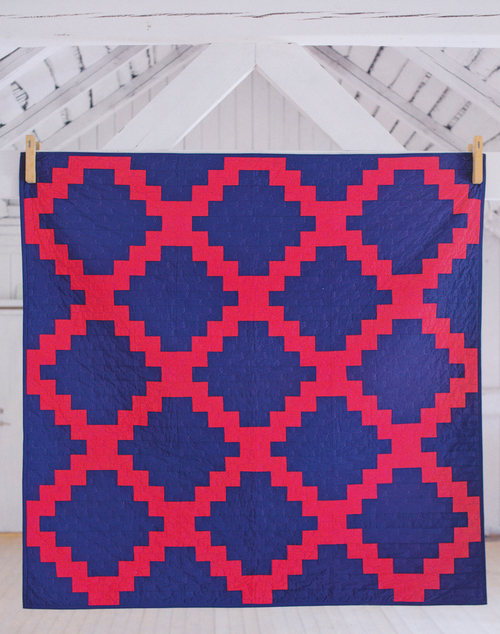 I love traditional quilts because the blocks tell me the design they want me to quilt them. I love modern quilts because I get to quilt outside the block, have fun and take risks with the quilting!! I can't not quilt...it is my creative outlet and allows me to maintain my sanity! I can't go a week without doing something quilty!! I love traditional quilts, especially hand quilted ones. My mom has a lovely collection of old, worn, beautiful quilts. All of the grandkids love them and use them often for sleep overs. I don't have the time for hand quilting, but I make many quilts that I machine quilt. I love to use modern fabric with old quilt patterns, it makes them a bit of each. I am a quilt maker. I started making traditional quilts and find myself now leaning toward modern quilting but...I really don't think about which style I fit into. Currently I am working on comfort quilts using button down shirts, t-shirts, jeans, pjs, and sheeting from a loved one who has past and incorporating clothing from the person who will receive the quilt...I am also adding fabric from my stash in a loose Gees Bend Style. It is an emotional experience-and when I am in the process, so enveloping. I made my son a beautiful quilt out of modern fabrics. I've been wrapping myself up in his quilt lately in the evenings and love the colors, warmth and comfort so much. I have a lap-sized quilt that hangs on the wall but I think quilts, modern or traditional, are best when they're used. I want to make more quilts that can wrap up the people I love. The development of 'modern quilting' illustrates the saying "Everything old is new again". I believe in the principal of learning basic skills and then using them in new ways. I've seen this book reviewed elsewhere and it is on my wish list. You could make my wish come true. I think that the modern quilts are going back to the basics. 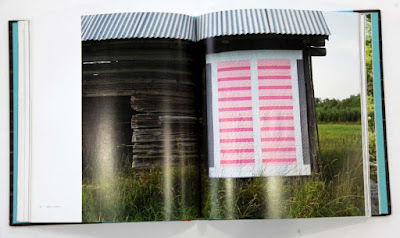 When I looked at Heather Jones quilts, I saw several of the quilts looked like Amish Quilts. I am glad that she is showing us how quilts can be personal art instead of confining us to patterns that have become too intricate and quilts that are taken somewhere else to be quilted by a machine. I watched the video clip which made me better understand where her designs were coming from. Just like fashion..what is old is new again. My mom and I were both interested in quilting..I am looking forward to finishing a few that she started..it will be a sharing of love now that she is gone. I was always interested in traditional things in general and found "modern" designs too stark and sharp-cornered or something. Now that I'm older and am paring down everything, I find that the simpler designs let the color stand out. I have the quilt top my great-grandmother made when she was twelve (navy and white baskets) and two Amish quilts that I purchased in upstate NY; they are lovely and I thought of them as I looked through the pictures you posted. I think they strike the same chord in me ... "traditional" was "modern" at one time, right? Hi Kristin, I am not a quilter, though I gather weekly with a group of talented women to make quilts for charity. Most of us are old, some ancient, but the construction and distribution of these gifts is s wonderful bond that unites us with the grateful recipients and each other. We work mostly with donated fabric and notions; hold fund raisers for $$ to buy the batting and utilize the skills (or teach them) to all who wish to participate. Generally we're able to make over 300 a year. This, to me, epitomizes "quilt local". I'm a passionate knitter who loves color and appreciates looking at quilts. 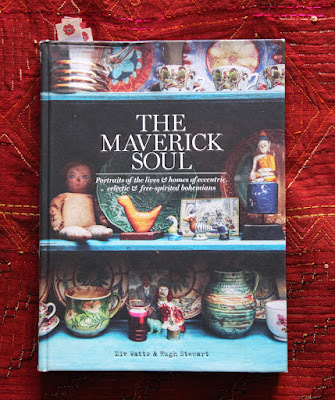 If I won this lovely book I would first enjoy it by myself and then share it with all of my CRAZY QUILTER "sisters". Thanks for your generous giveaways! I'm a self-taught knitter and crocheter. My grandmother was a self-taught quilter. I tried to follow her but I kept poking myself. Now that I complete whole sweaters, I understand her drive and ability to complete bed quilts. I think seeing her delve into that quilting creativity percolated to my finding knitting years later. I my two boys' baby clothes b/c I actually thought I'd make a quilt with them someday. So far I've only knitted and crocheted bed blankets. I still have the quilt my grandmother made for me to bring to college. Thanks for helping me remember it! I am not a quilter. I might try it some day. For now, I am branching out into drawing and painting. I do have a beloved quilt that my aunt made for me. My hubby and I call it the "old bat blanket". This sounds much worse than it is. My aunt has a very funny, dry sense of humor. She refers to herself as the old bat. She refers to her car as the bat mobile. We use the quilt so much, the edges are showing wear. She made the same quilt pattern for each of her children and also for my brother and me. For each of us, it was a wedding present. Since I got married so late in life, she actually gave me mine some time in my 30's, long before I got married. I love quilting and make mostly "art" quilts and small table runners, etc, because I don't have the patience to do a big quilt, although I have made many over the years. I don't care if a quilt (or any other piece of art or craft) is traditional or modern as long as it is well made and has a good sense of color and design. Really enjoy your work and blog. 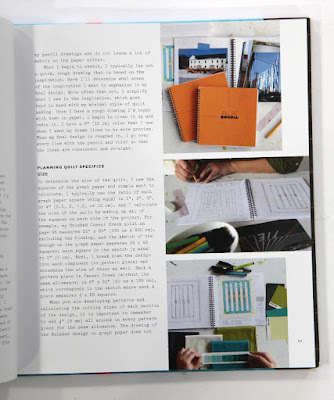 I've been eyeing this book, it looks wonderful! I'm just getting back into quilting after years of no quilting. I think the more "modern" quilts have been the reason for my renewed interest. I love the simplicity and beauty while still having a very traditional craft feel. I think I'm in the middle between wanting to make quilts and making them. I certainly buy more fabric than I can ever use and I have oodles of ideas which don't get past the thinking stage. I enjoy parts of the process much more than others. Right now I'm finishing a new quilt and a very old UFO for a quilt show and struggling with squaring them up, basting, and quilting. That's not the fun part for me. 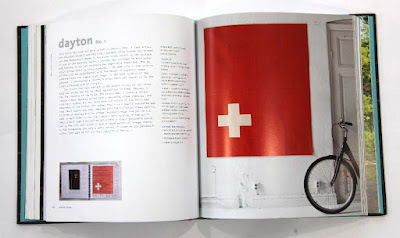 The book looks so interesting. I have never quilted but have several friends who do. I'd like to give it a try but I don't have any idea where to start. I would love a chance to win this book. i love the look of modern quilts and the wide open areas for quilting BUT I also like traditional quilt patterns. I make many quilts and I try to incorporate both methods in my quilts! Thanks for the chance at the book! Before I became a knitter, I made more than 100 "patchwork blankets" - they weren't quilted, but "tied" together every few inches. I used to inflict these heavy blankets on unsuspecting friends and relatives. I'm old-school though because I didn't purchase fabric to cut it up and then sew it back together again; I used only scraps from sewing projects, so you can imagine the variety of fabrics that I use. Before I gave up quilting (for knitting) though, I did win the NJ award in the first Lands' End/Good Housekeeping All American Quilt Contest. Kristin, First want to say how much I enjoy your blog. So enlightening to share your life through your day to day stories even tho we will more than likely never meet. I enjoy piecing quilts with a wonderful group of women in our community. Love the companionship and the actual needlework. Love all kinds of quilts for the beauty that each individual designs. My love of quilts goes back to my early years as I was facinated by my Mom's beautiful piecing and quilting. It was a big part of her social life too. My daughter & I have some wonderful quilts that she made. As soon as I retired, I began to enjoy a weekly quilt group. 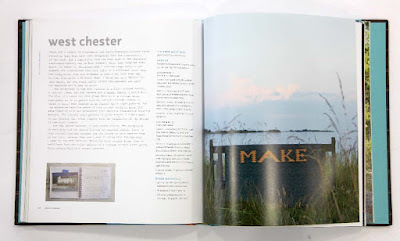 Would love to win the book and enjoy making a quilt from it. Love the one you featured in your blog. A combination of traditional & modern is so lovely. Thank you for this opportunity. I love quilts. I've yet to make one, but would really like to. I'm not really educated enough about quilting to say with any confidence what the difference between traditional and modern quilting is. Traditional quilting makes me think of the classic patchwork, log cabin, and star designs that were really about practicality and converting scraps and worn clothing into usable sources of warmth. 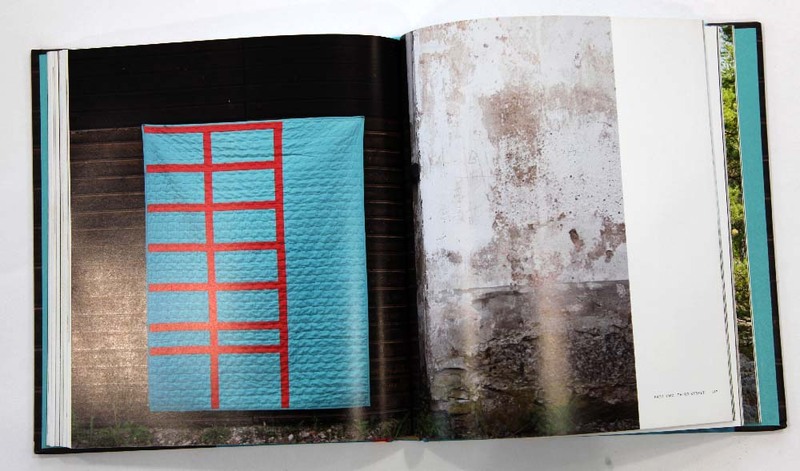 Modern quilts I think of as more works of art, made as acts of creativity rather than necessity.